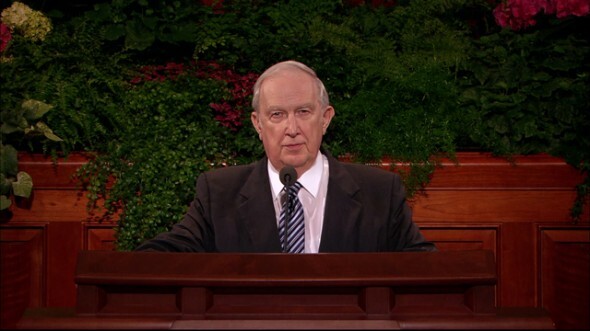 The power of healing is inherent in the Atonement of Jesus Christ. 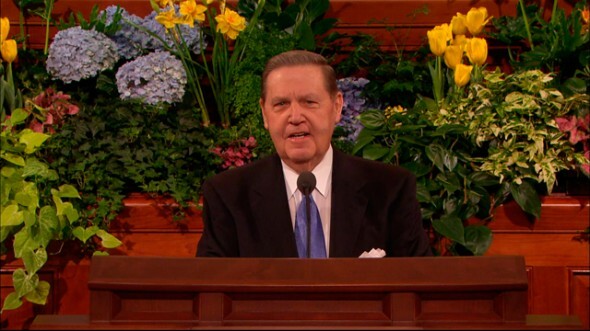 I bear solemn witness of how deeply I love our new prophet, seer, and revelator, President Thomas S. Monson—how deeply I trust him, and how I am willing to do whatever he asks me to do. Some matters are so sensitive and intensely personal and can awaken such disturbing feelings that they are seldom mentioned publicly. Yet, if tenderly and compassionately treated in the light of truth, discussion of these matters can bring greater understanding, with the easing of pain, the blessing of healing, and even the avoidance of further tragedy. It is with a deep desire to define a path to relief that I speak to you who suffer the shattering consequences of mental, verbal, physical, and especially sexual abuse. I speak also to those of you who cause it. I will focus on sexual abuse, although the counsel given should help the victims of other mistreatment. My intent is to act as a mirror so that divine, healing light can illuminate the dark clouds of distress caused by others’ unrighteous acts. May I be aided to communicate understandably, to provide help, and not further complicate a damaged life. It is also likely that greater understanding, awareness, and sensitivity may permit some of the rest of us to help resolve or prevent the tragedy of abuse in additional victims. The rising tide of this vicious, abominable sin may not have touched your life personally. Yet it is pervasive enough in the world that it may have touched someone you love. It frequently causes such profound suffering— that can be overcome—that I want to speak of how healing can be attained. It will be done reverently, for my objective is to help heal and not aggravate painful memories. Moral agency is a vital element in our Father in Heaven’s plan of happiness. He understood that some of His spirit children would use that agency improperly, causing serious problems to others. Some would even violate sacred trust, such as a father or family member abusing an innocent child. Since our Heavenly Father is completely just, there has to be a way of overcoming the tragic consequences of such damaging use of agency for both the victim and the perpetrator. 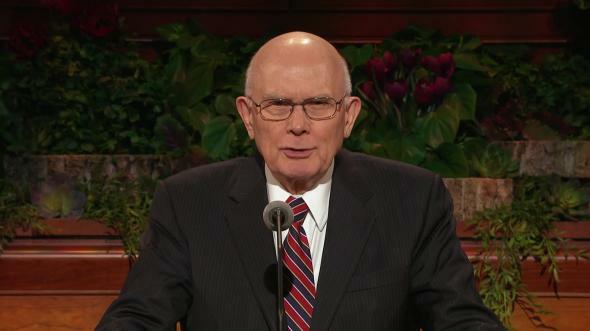 That secure healing comes through the power of the Atonement of His Beloved Son, Jesus Christ, to rectify that which is unjust. Faith in Jesus Christ and in His power to heal provides the abused with the means to overcome the terrible consequences of another’s unrighteous acts. When combined with complete repentance, the Atonement also affords the perpetrator a way to avoid the severe punishment the Lord has decreed for such acts. I testify that I know victims of serious abuse who have successfully made the difficult journey to full healing through the power of the Atonement. After her own concerns were resolved by her faith in the healing power of the Atonement, one young woman who had been severely abused by her father requested another interview with me. She returned with an older couple. I could sense that she loved the two very deeply. Her face radiated happiness. 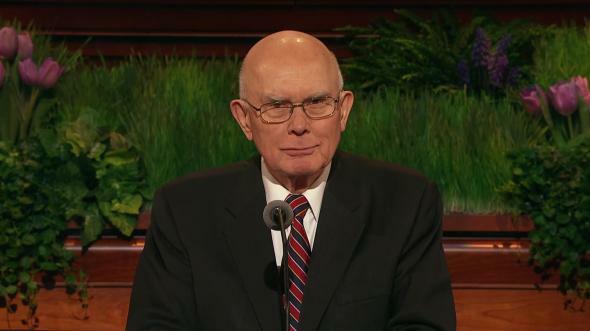 She began, “Elder Scott, this is my father. I love him. He’s concerned about some things that happened in my early childhood. They are no longer a problem for me. 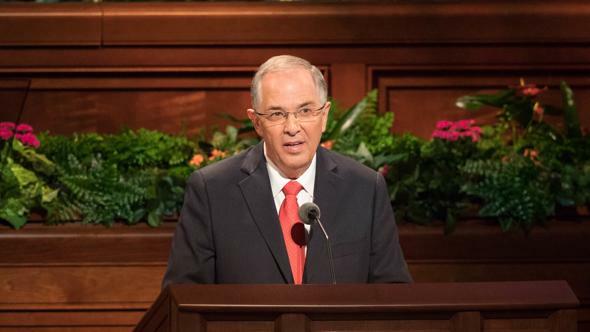 Could you help him?” What a powerful confirmation of the Savior’s capacity to heal! She no longer suffered from the consequences of abuse, because she had adequate understanding of His Atonement, sufficient faith, and was obedient to His law. As you conscientiously study the Atonement and exercise your faith that Jesus Christ has the power to heal, you can receive the same blessed relief. During your journey of recovery, accept His invitation to let Him share your burden until you have sufficient time and strength to be healed. If you have been abused, Satan will strive to convince you that there is no solution. Yet he knows perfectly well that there is. Satan recognizes that healing comes through the unwavering love of Heavenly Father for each of His children. He also understands that the power of healing is inherent in the Atonement of Jesus Christ. Therefore, his strategy is to do all possible to separate you from your Father and His Son. Do not let Satan convince you that you are beyond help. Satan uses your abuse to undermine your self-confidence, destroy trust in authority, create fear, and generate feelings of despair. Abuse can damage your ability to form healthy human relationships. You must have faith that all of these negative consequences can be resolved; otherwise they will keep you from full recovery. While these outcomes have powerful influence in your life, they do not define the real you. Satan will strive to alienate you from your Father in Heaven with the thought that if He loved you He would have prevented the tragedy. Do not be kept from the very source of true healing by the craftiness of the prince of evil and his wicked lies. Recognize that if you have feelings that you are not loved by your Father in Heaven, you are being manipulated by Satan. Even when it may seem very difficult to pray, kneel and ask Father in Heaven to give you the capacity to trust Him and to feel His love for you. 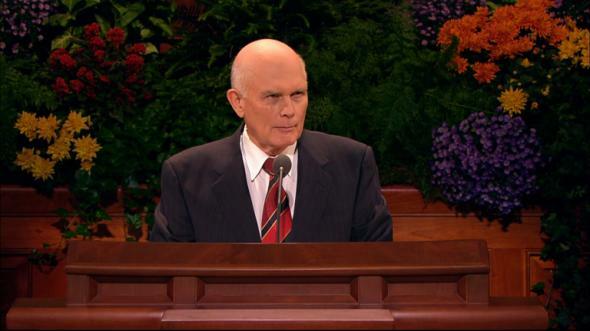 Ask to come to know that His Son can heal you through His merciful Atonement. It was Satan’s proposal that Father’s children be forced to obey, that there be no moral agency and therefore no personal growth. To preserve moral agency, the Lord does not restrain individuals from improper use of that agency. However, He will punish them for such acts unless there is full repentance. Through the Holy Ghost, He sends warning promptings to the abuser, but often that individual’s degrading appetite is so powerful that it blocks out that spiritual guidance. That is why our Father provided a way to heal the consequences of acts that, through force, misuse of authority, or fear of another, temporarily take away the agency of the abused. The beginning of healing requires childlike faith in the unalterable fact that Father in Heaven loves you and has supplied a way to heal. His Beloved Son, Jesus Christ, laid down His life to provide that healing. But there is no magic solution, no simple balm to provide healing, nor is there an easy path to the complete remedy. The cure requires profound faith in Jesus Christ and in His infinite capacity to heal. It is rooted in an understanding of doctrine and a resolute determination to follow it. 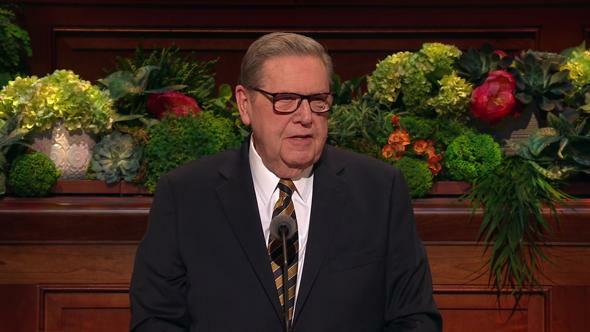 Healing may begin with a thoughtful bishop or stake president or a wise professional counselor. If you had a broken leg, you wouldn’t decide to fix it yourself. Serious abuse can also benefit from professional help. 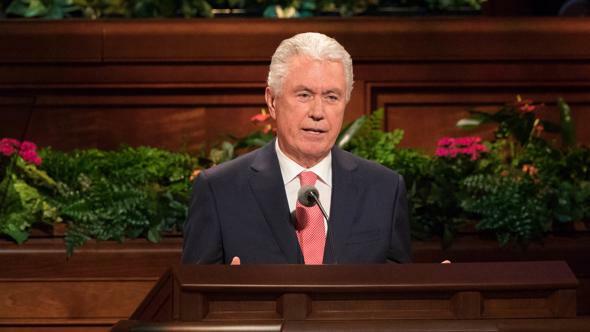 There are many ways to begin healing, but remember that a full cure comes through the Savior, the Lord Jesus Christ, our Master and Redeemer. Have faith that with effort His perfect, eternal, infinite Atonement can heal your suffering from the consequences of abuse. If you are currently being abused or have been in the past, find the courage to seek help. You may have been severely threatened or caused to fear so that you would not reveal the abuse. Have the courage to act now. Seek the support of someone you can trust. Your bishop or stake president can give you valuable counsel and help you with the civil authorities. Explain how you have been abused and identify who has done it. Ask for protection. Your action may help others avoid becoming innocent victims, with the consequent suffering. Get help now. Do not fear—for fear is a tool Satan will use to keep you suffering. The Lord will help you, but you must reach out for that help. Do not be discouraged if initially a bishop hesitates when you identify an abuser. Remember that predators are skillful at cultivating a public appearance of piety to mask their despicable acts. Pray to be guided in your efforts to receive help. That support will come. Rest assured that the Perfect Judge, Jesus the Christ, with a perfect knowledge of the details, will hold all abusers accountable for every unrighteous act. In time He will fully apply the required demands of justice unless there is complete repentance. Your preoccupation with a need for justice only slows your healing and allows the perpetrator to continue his abusive control. Therefore you should leave punishment for the diabolic acts of abuse to civil and Church authorities. Now, to the perpetrator who has shattered the life of another by abuse: Recognize that you need help with your addiction or it will destroy you. You will not overcome it by yourself. You likely need specialized professional help. I plead with you to seek to be rescued now. You likely have deceived yourself in the false, temporary security that you have successfully hidden your transgression from the civil or Church authorities. But know that the Lord Jesus Christ is completely aware of your sins. He has warned: “Whoso shall offend one of these little ones …, it were better for him that a millstone were hanged about his neck, and that he were drowned in the depth of the sea.”2 Know that even without action by a victim, your act of abuse will be publicly known, for Satan will expose you, then abandon you. Parents, in appropriate, sensitive ways, teach your children of the potential danger of abuse and how to avoid it. Be aware of warning signs, such as an abrupt change in a child’s behavior, that may signal a problem. Be alert to a child’s unsettled feelings and identify their origin. To you who hold the keys of a judge in Israel, painstakingly assure that every individual that is suffering from abuse receives appropriate help. The Church handbook and the help line listed there are valuable resources to guide your ecclesiastical action and coordination with civil authorities.4 Carefully supervise the participation of any individual who may have had past offenses. Recognize that it is very unlikely that a perpetrator will confess his depraved acts. Seek the guidance of the Spirit when you feel that something may be amiss. Enlist the help of ward and stake leaders to avoid potential dangers. I pray that you, as one abused or one who has caused it, will act now to avail yourself of the healing power of the Atonement of Jesus Christ. I testify that your faith and obedience will assure that He will help you. In the name of Jesus Christ, amen. 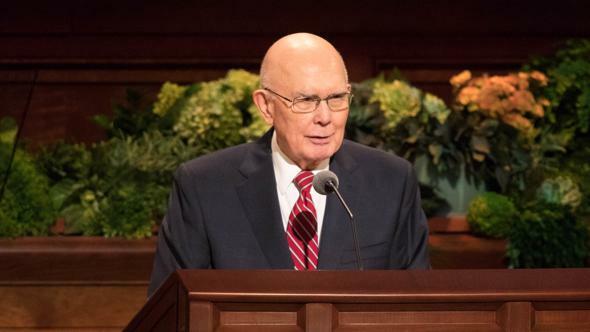 These materials may help in recovering from the tragedy of abuse: Gordon B. Hinckley, “Save the Children,” Ensign, Nov. 1994, 52–54; James E. Faust, “The Atonement: Our Greatest Hope,” Liahona, Jan. 2002, 19–22; Ensign, Nov. 2001, 18–20; Dallin H. Oaks, “He Heals the Heavy Laden,” Liahona and Ensign, Nov. 2006, 6–9; Richard G. Scott, “Healing the Tragic Scars of Abuse,” Ensign, May 1992, 31–33; Richard G. Scott, “Trust in the Lord,” Ensign, Nov. 1995, 16–18; Richard G. Scott, “Peace of Conscience and Peace of Mind,” Liahona and Ensign, Nov. 2004, 15–18; Richard G. Scott, “The Atonement Can Secure Your Peace and Happiness,” Liahona and Ensign, Nov. 2006, 40–42; Jeffrey R. Holland, “Broken Things to Mend,” Liahona and Ensign, May 2006, 69–71; “A Conversation on Spouse Abuse,” Ensign, Oct. 1999, 22–27; “The Wrongful Road of Abuse,” chapter 28 in Teachings of Presidents of the Church: Joseph F. Smith (Melchizedek Priesthood and Relief Society course of study, 1998), 249–55; D&C 121:34–46. 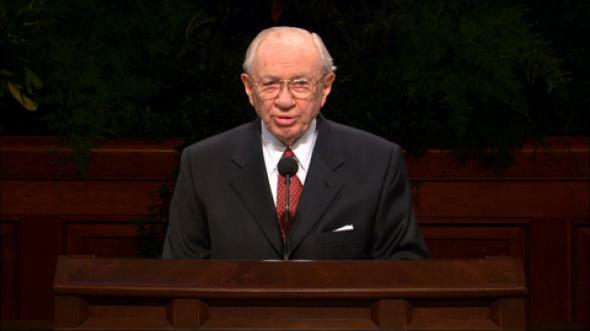 See Church Handbook of Instructions, Book 1: Stake Presidencies and Bishoprics (2006), 107–8, 110, 120, 122, 147, 186.